A stunning palette solves everything. 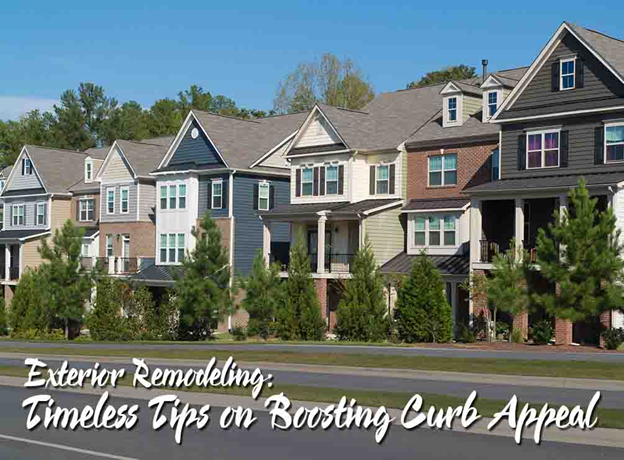 It helps energize your dull façade, hide eyesores, and accentuate your best architectural features. It also affects the mood and lends your home its defining qualities. With the number of color choices on the market, combining the right two or three hues is often difficult. When in doubt, comply with time-tested practices. The rule of thumb is to pick two tints of the same hue, which are a few shades apart. You can use one shade as the main color, while the other one coats the trim. For the entry, a contrasting accent hue makes the door pop. Keep in mind that you have to consider a variety of factors to finalize your palette. Our experienced design specialist would guide you toward matching your new vinyl siding in CT to your existing exterior components. In re-roofing projects, it’s best to pick a material that allows for countless design possibilities. An aesthetically versatile solution offers you plenty of leeway to glam up your exterior. In this respect, asphalt is an ideal material. GAF asphalt shingles mimic wood shakes and slate tiles realistically at a fraction of the cost. They also come in a large selection of colors and textures, featuring granules that resist rough weathers and don’t age with time. Symmetry is always pleasant to the eye, especially for traditional homes. You can exude simplicity by covering all your walls with horizontal vinyl siding in Connecticut. Installing an equal number of windows on both sides of the entry also creates semblance sense of balance. These tips help you create a more beautiful home, but you can also mix different elements together to form a unique look for your home. Let Vinylume help you choose the right colors, textures, and materials for your next home remodeling project. We carry products from top manufacturers that offer roofing, siding, and windows that combine durability and long-lasting beauty. Talk to us today at (866) 244-8029 to learn how we can help. You can also schedule your FREE in-home consultation when you fill out our contact form .